Save £££'s When You Book with the Owners Direct! Here are just three examples of the many private caravans for hire that we have available to rent direct from the owners. Please use the links to the left to browse our many fabulous static caravans on some of the UK's best holiday parks and remember you are dealing with the owner directly so there are no agency fees or caravan park commissions to pay so the price will be the best you can get. If you are looking for a great deal on private caravans to rent from the static holiday caravan owner direct then you have come to the right place. With the continuing squeeze on household finances many more families are going for a Staycation, that is having their holidays at home in the UK rather than flying off to foreign shores. We have a great selection of private caravans to rent on some of the best static caravan holiday parks in the UK. There are private static holiday caravans for rent on the big name sites like Haven, Butlins, Park Resorts and Hoseasons holiday parks. However you will get a much better deal by booking direct with the owners of private caravans to rent. Why Book a Private Static Holiday Caravan Rental Direct With The Owner? The main reason for booking your next holiday caravan direct with the holiday home owner has to be the fact that you will know the exact private caravan you will have for your holiday. You will know the caravans position on the holiday park and how close it is to all the things you want from your holiday in a private static caravan rental. You will be booking the static caravan rental direct with the owner so you can ask all the questions you like; things like what items are included in the caravan rental and what you will need to take with you. 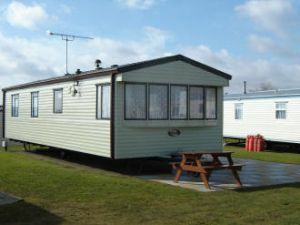 Some private rental caravans for hire have extras that the standard static holiday caravan rentals offered by the big holiday parks just don't have. These private static caravans have things like DVD players, Satellite TV, Playstation games consoles, board games, sports equipment, etc, etc. Every rental caravan has different facilities so please be sure to have a good look at all the private caravans in the area you are interested in and compare all the facilities offered. Remember, when booking a private static holiday caravan direct with the holiday home owner the cheapest price is not always the best option.....for just a small premium in cost you may get much better facilities. 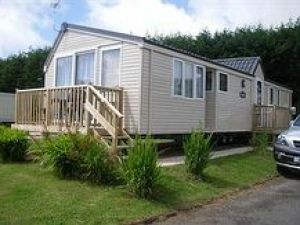 However you will usually find that booking a private caravan rental direct with the owner will be much cheaper and include more than if you book direct with one of the big caravan holiday park operators, and you will still be able to use all the facilities on the holiday home park.